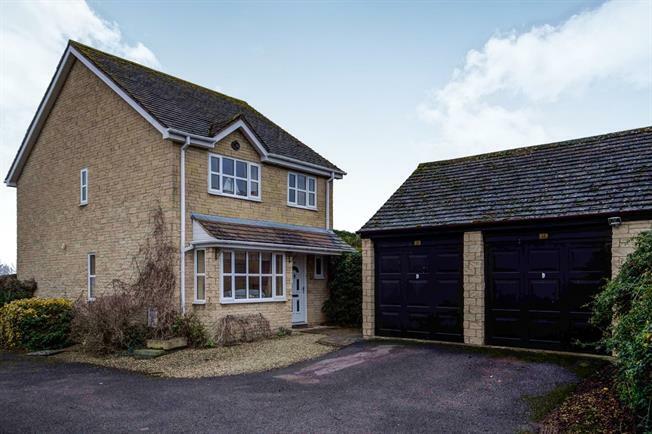 4 Bedroom Detached House For Sale in Chipping Campden for Offers Over £350,000. This well appointed detached residence is quietly situated in a discreet hideaway location with outstanding views of Meon Hill. The current owners have lived in the property for twenty years and have found it to be an excellent family home. Briefly comprising; entrance hall, cloakroom, sitting room with front aspect bay window, and feature fireplace, dining room with double doors opening out to the garden, a well appointed modern kitchen and a good sized conservatory. Upstairs offers an en-suite master bedroom, three further bedrooms and a stylish family bathroom. Externally, there are well established low maintenance gardens, mainly laid to lawn with a paved sun patio ideal for al-fresco dining. In terms of parking there is a detached double garage and driveway.